These words reveal a mindset. Evidently they are not the words of someone who considers himself among the privileged. Who says such words considers himself a victim! The victim of those who are ‘privileged.’ Victims of oppression. Exactly from these emerge the indignant warriors among us. The ones ready to do battle to right wrongs. 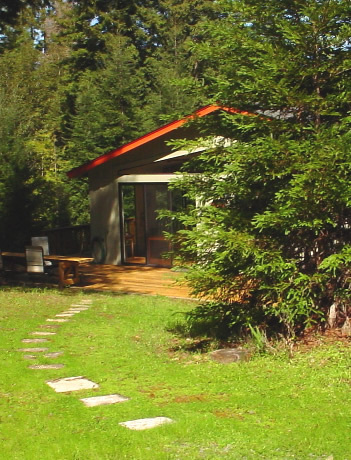 The image shows cement stepping stones pathing an unmuddied walk along the forest floor to shelter. The stones are all inscribed with text. Leaving them blank seemed a waste. So began the quest. 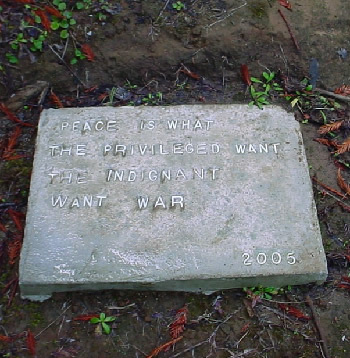 What words merit being set in stone? I wanted no moral strictures. No “thou shalt nots”. No words about what people ought to do; what other people ought to do is usually their import. No instructions on how to live. No complaints. No visions of how the world ought to be. No fantasies. No prayers. No incantations. These are too parochial to merit inscription in stone. Rather I chose laconic surmise from observation. Observations about the mechanics of being. Notes on how the world is. Telling how it works with a paucity of words. Immutable truths. Like the laws of physics. Statements about nature; inviolable because they describe nature. We can’t do anything about these laws. We can’t change them. We can rejoice in knowing them. •	That every pair of bodies in the universe attract each other according to their masses; the law of gravity. Nothing is exempt from this law. Accepting it led to the discovery of dark matter in the universe. •	That, for every closed system, there exists an ethereal quantity called its energy, which is indestructible. It is conserved. Meaning that it doesn’t change no matter what inner turmoil the system suffers. These laws are used to engineer things – like bridges, engines, computers, space flight. Not by being circumvented or repealed. But by being understood. 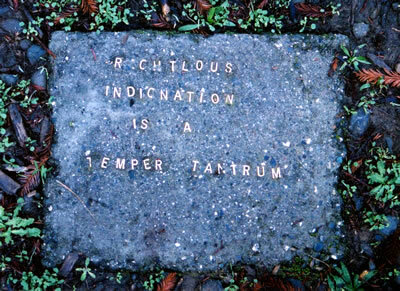 Such abiding statements are what I wanted for my stepping stones. 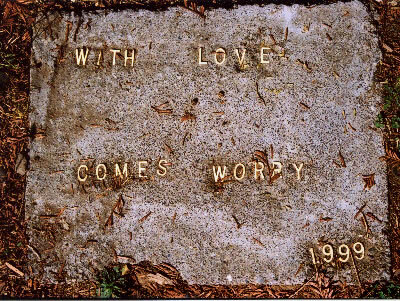 Here is one: WITH LOVE COMES WORRY. It sounds like a complaint. A joke, perhaps. A reason to avoid affection. We perceive the word worry as something negative. To be eschewed. And the word love as positive. To be embraced. But the adage is not meant as a rule to live by. To take that personal guidance view of it is to miss its import. Love is precious, worry notwithstanding. There is a symbiosis between the two. From love comes the sweet worry of selfless caring. You worry about your loved one’s welfare. You cannot help it when it is love that possesses you. The mother is helpless before worry in her love for her child. The devoted lover must succumb to concern for his wife’s well being. With the blessing of love comes the penalty; the loss of being carefree. The relationship between the two is not something you can fix. It’s embedded in the deliciously perverse nature of things. The young man objects. “There are people I love and I don’t worry.” Thus announcing to all his hearers, in cocky innocence, that he doesn’t know love. He stands naked, undressed by his own words. The great humanist, Erasmus of Rotterdam, called by the name, Adagia, his collection of proverbs published in 1500. Here are pieces, already posted, on my stone-inscribed adagia. NOTHING SO HINDERS UNDERSTANDING AS NOTIONS OF JUSTICE. THE WORLD WORSHIPS EXCESS. WASTE IS THE SIGNATURE OF PRIVILEGE.